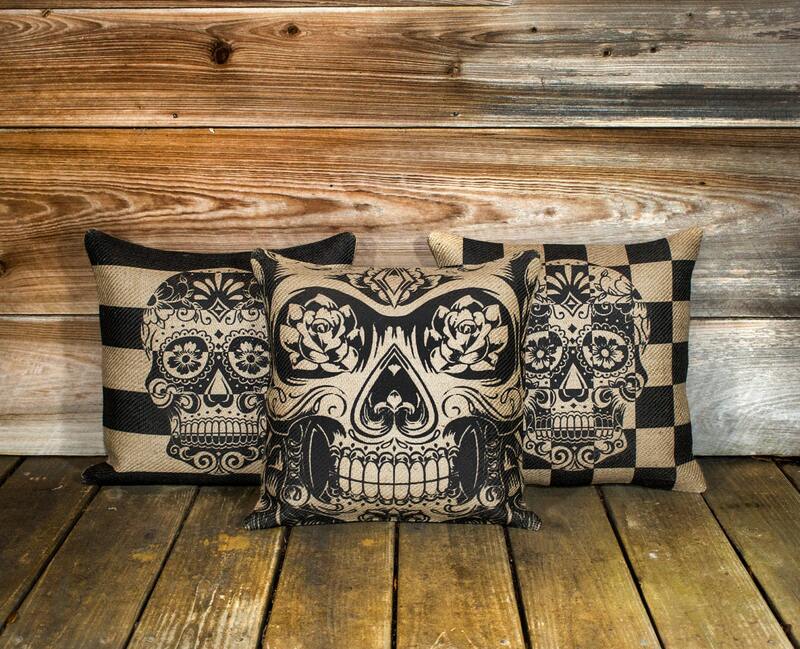 Skull Pillow Covers (3) Day of the Dead, Sugar Skull Throw Pillow, Día de los Muertos Cushion, Decorative 16"
We hope you enjoy these handmade (3) sugar skull pillow covers. Perfect for Day of the Dead. *Zipper enclosure on the back. *Made with exclusive fabric on the front, which is not available in stores. *Seams are finished with a professional serger. This listing is for (3) pillow covers only. 16” pillow forms can be found at your local craft store. Please be sure to check our shop for even more unique pillow covers! Awesome pillows.... Top quality. I will shop again. Great item and beautiful craftsmanship! Great product but I would not buy from this company again as they don't seem to know what customer service is. The owner thought it okay to be rude and arrogant in all correspondence. Encore plus beaux en vrai qu'en photo ! J'adore ! <3 La taille 20" correspond à une taille oreiller. Les délais d'envoi sont un peu longs !